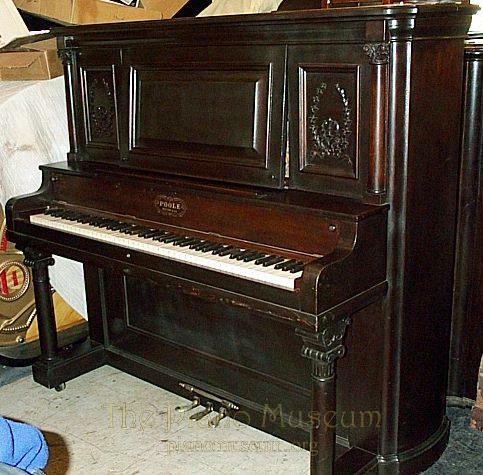 Poole was a Boston maker with pianos very similar to Ivers & Pond. Like some other makers they produced this round side model. It is very solidly constructed with a tone a little more mellow than Ivers.